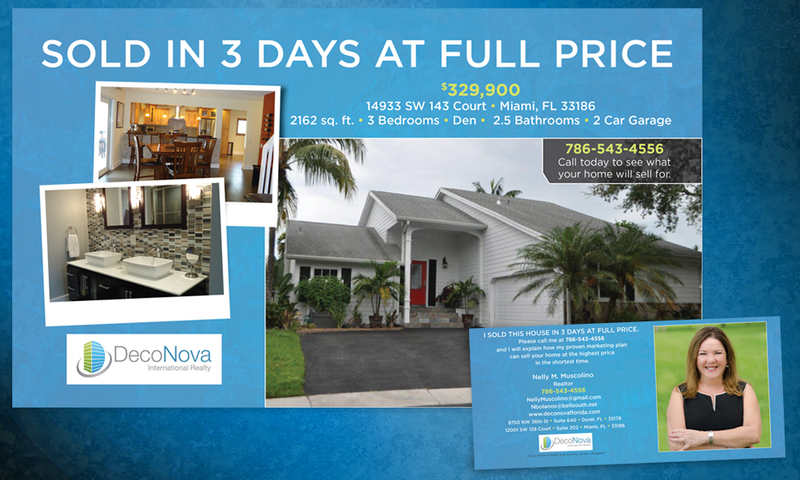 DecaNova International Realty reached out to ummhumm | creative studio to create and produce an Every Door Direct Mail® (EDDM) to promote a recent home sale in Miami, Florida. After created four for the Florida-based real estate company, we are happy to announce that they are the EDDM Client of the Week! We are happy and excited to continue our relationship with DecaNova and Nelly. 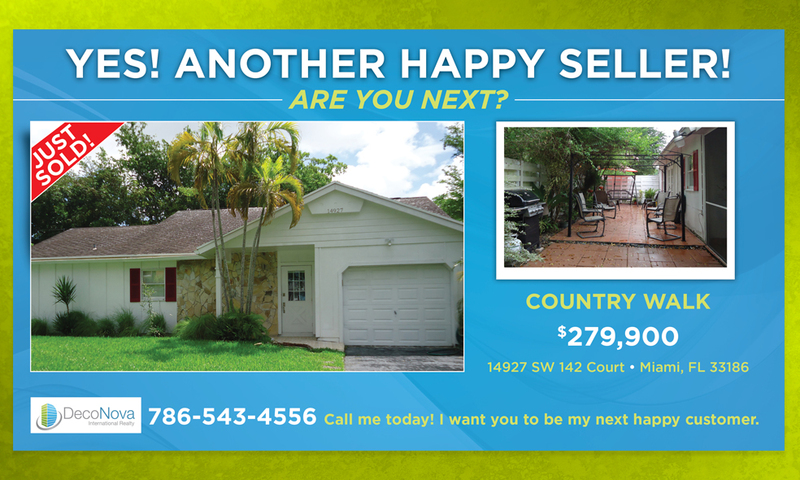 We wish them all the luck as they help homeowners buy and sell in the Miami marketplace. 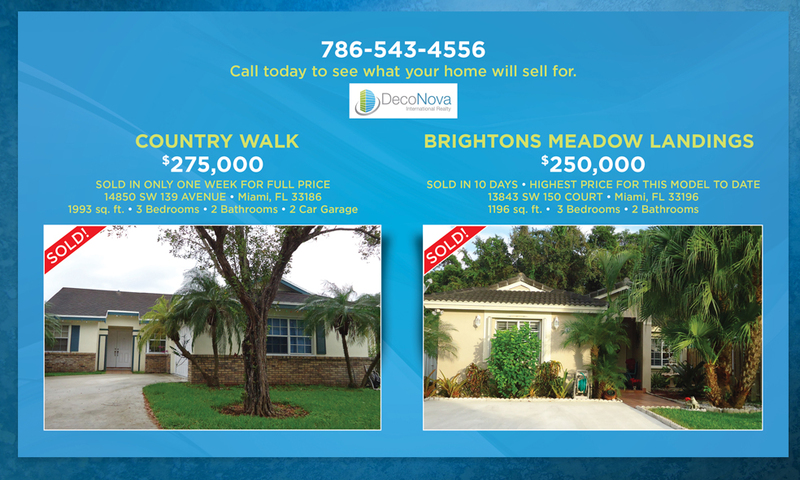 DecoNova International Realty Inc. is a brand founded in 2004 on a commitment to professionalism and customer service. It remains the cornerstone of their business philosophy today. DecoNova Int’l Realty Inc. is a full service Real Estate Company known for integrity and experience in the State of Florida. Their experience has helped make the dream of homeownership a reality for all their customers. Whether you are a first-time buyer or in the process of stepping up to your dream home, DecoNovaFlorida.com is a great place to begin the process. 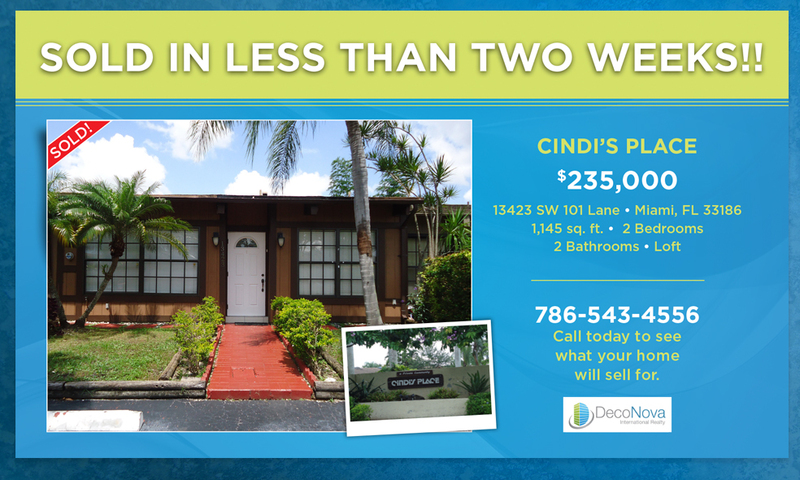 They have made everything available to you 24/7 and only a click away – including information on properties for sale and access to the most professional sales agents in the business. DecoNova Int’l Realty Inc. brands real estate agents are the reason clients continue to work with them. Their knowledge and experience can guide you through the real estate process and help you with all of the details before, during and after the sale. Of course, when you are ready to discuss your real estate needs and goals, or if you have any questions, DecoNova Int’l Realty professional team is always available to help.